Parks And Recreation has spent a lot of time developing its rich character palette, and tonight, we got to witness an even richer side of these beloved Pawnee residents. The leader of the town’s extremist cult, The Reasonableists (named thusly so criticism sounds ridiculous), informs Leslie that the world is ending tomorrow. Of course, it’s a crazy prospect. I mean, Zorp, their benevolent leader, is presumably going to melt all their faces and use them as fuel for his spaceship. But “End Of The World” is savvily written by showrunner Mike Schur; by the end, each of the show’s characters has faced his or her own last-night-on-Earth scenario, emerging victorious and stronger for it. That crazy prospect starts to feel real, and it’s a nice window into what makes these characters tick. I’m sitting here writing this review and remembering the episode fondly, because I do think the structure and pacing was spot-on. But the episode didn’t sit as neatly with me while I was watching. 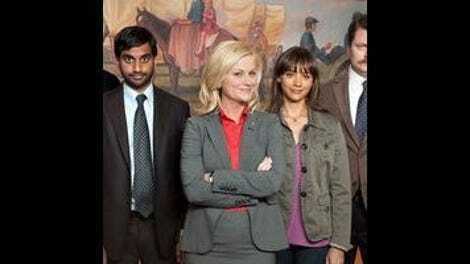 In short, it’s because of the Leslie Knope problem I thought the show was done with by now. Remember in season one how annoying Leslie was? The show hadn’t yet found her heart, thus every time she found herself flummoxed by a parks department problem or a bad run-in with Mark, she’d kind of run her mouth off, make silly decisions, resort to childish behavior, and so on. It wasn’t flattering, and it was certainly desperate—she wasn’t a grounded character, so that kind of behavior was grating and felt unnecessary. Now, when Leslie gets totally thrown off her game and is trying to reorient herself, she’ll still fumble her words and stuff, but she seems more self-aware of how she’s being portrayed. Leslie snaps into overdrive. When Ben is about to leave, she demands that he accompany her to a special place that she’s been wanting to show him, and they wind up at an abandoned gas station after driving around for a while. Ben finally confronts Leslie about her behavior, and they come to an understanding. This is great. The problem is that it took about a third of the episode for Leslie to a) realize what she was doing, b) Leslie to listen to Ben, c) Ben to bring it up, and d) Leslie to keep her emotional reactions in check, something she’d been more adept at since season two. It just didn’t feel realistic to the growth Leslie has done as a character—nay, a person in fake TV land. I found it very distracting. But you know what? I might be alone. The resolution to the story—Leslie apologizing to Ben at his house, employing a nifty little jealous-girl trick to figure out if Shauna’s there or not—offered a welcome return to the effortless Ben/Leslie chemistry they’d shared since Adam Scott was first cast on the show. It just took a long time to get there, which is time that could have been spent, say, giving Ron more to do than selling flutes to the cult members (Ron prefers to spend his last day on Earth making a quick buck), letting Chris fall deeper into religious crisis (what he does), or giving Ann something to do. Though given how much I’ve ragged on Ann in past weeks for taking up too much screen time, I guess it’s not a huge loss. But while Leslie fell back on old habits, Tom ended his run at Entertainment 720, only a recent addition to the Parks universe, with a bang. All the comically over-the-top, lavish spending he’d demonstrated with Jean-Ralphio over the last few episodes exploded onto the screen for one last Entertainment 720 hurrah—on a Thursday night, no less. See, the company is bankrupt save for $10,000, so the boys decide to throw a party to end all parties. They’re not really aware of the whole Zorp business, but it’s a party fit for the end of the world. There’s a DJ, a marching band, bows on everyone’s cars, Roy Hibbert handing out shrimp, and four VIP sections, including one VIP section which is just the entire club. It’s the perfect party, but Tom isn’t feeling quite right. Something’s missing—and right on cue, enter Lucy, back from Bloomington and ready to party. (Jean-Ralphio invited her because he forgot she and Tom ever dated… boo on you, Jean-Ralphio. And Tom, time for some better friends.) Also, perhaps overcome by Tom’s swagger, Lucy kisses him at the end of the night, which makes the evening perfect. Tom puts up quite a front with even his closest of compatriots, but last week, we saw the beginning of that front falling down and learned that he only gets overzealous with his business to make up for the fact that he doesn’t know where the hell his life is headed. Tonight, standing there after receiving that kiss, Tom was more in the moment than he’s ever demonstrated on the show. His preparation for the end of the world? Not caring what’s next. Then there are April and Andy, who live their lives so in the moment that they’ve become victim to routine. Rather than spend another night watching Andy play XBox and eating pizza, April decides to mix things up. 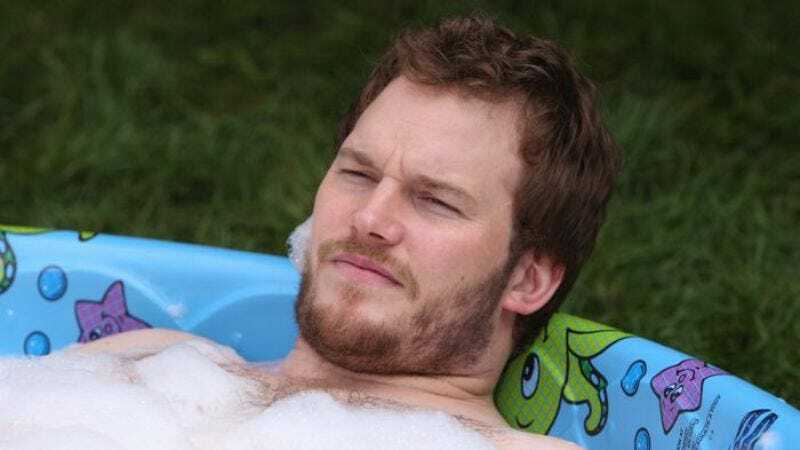 Andy reveals, almost dismissively, that he has a bucket list, and April decides that the best thing they can possibly do right now is cross as many of those things off that list as humanly possible. (That’s some accidental end-of-the-world stuff right there.) It starts with procuring $1,000 in singles, so Andy can feel what it’s like to hold that much money in his hands. Then they get serious—winning the lottery off a scratch-off ticket, making the best grilled cheese sandwich ever, allowing Andy to be an action star by bounding through his glass door and fake-punching Jerry while April’s weird sister watches, etc. The only thing they miss, actually, is Andy’s promise to remake Kazaam and this time get it right. The episode ends presumably a day or so later, after April and Andy have rented a car and driven all the way to the Grand Canyon. No, the world’s not ending, but every once in a while, it’s worth living like it’s about to. "Where are all the faces? You know, the Presidents?" When Ron Swanson was playing that flute, I kept hoping for a Duke Silver reference. Oh well. "You had me at '…every dime we have left.' "